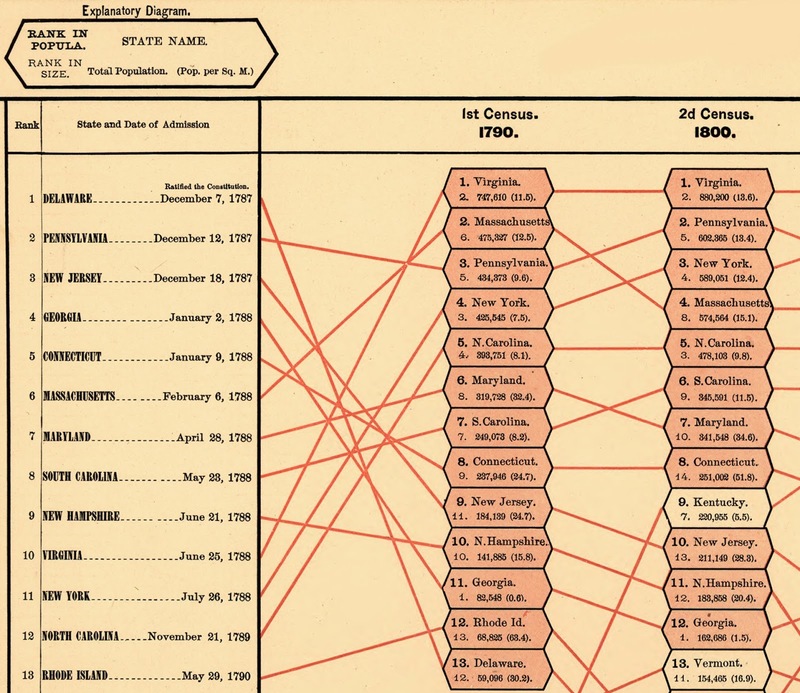 Prompted by my digging on Slopegraphs, I have pushed even further back than 1914 and found this - from Scribner's statistical atlas of the United States, showing by graphic methods their present condition and their political, social and industrial development by Fletcher W. Hewes and Henry Gannett. Published in 1883. 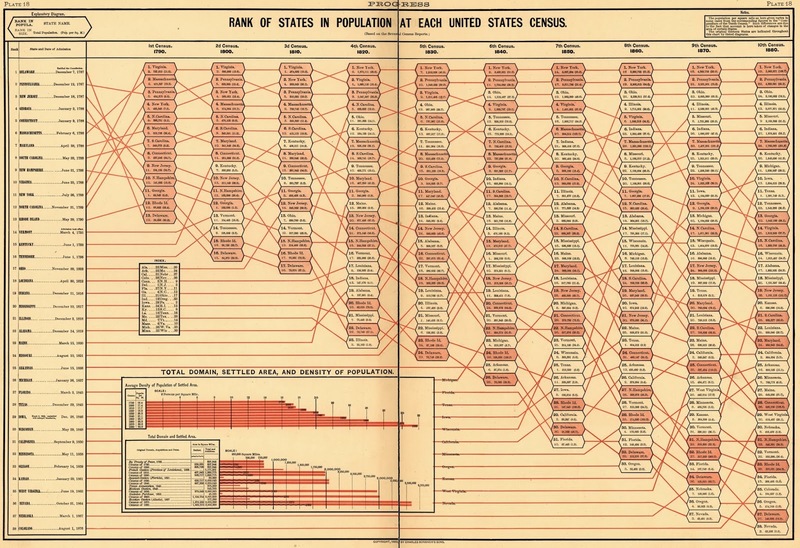 The Statistical Atlas for the previous census, published in 1870, did not have a plot like this. Available on the Library of Congress website (HERE). A low resolution version of the whole plot is shown below. A high-resolution portion of the plot is shown below. This is a far more accomplished Slopegraph than Willard Brinton's simplified version from 1914.